Prepare your wings and listen closely: the wild fairies are now in bloom and popping up in a forest near you! Spring is in the air in Sugar Oak! Green buds grow on the trees, the temperature is warm, and all of the fairies' animal friends have come out to play. But before the fairies can smell the flowers and soak in the sun, they must plan the biggest party of the year−the Blossom Bash! 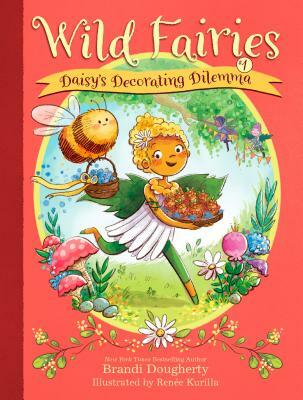 Normally, Daisy would love leading her fairy friends, but when each of the fairies has a different vision for the bash's decorations, she's left stumped. Daisy has a difficult decision to make, and with first bloom right around the corner, she better decide quickly! Brandi Dougherty is the author of the New York Times best-selling picture book The Littlest Pilgrim along with six other Littlest tales. She's also written three middle grade novels, a Pixar picture book, and four books in Giada de Laurentiis's Recipe for Adventure series. She lives in Los Angeles where she wrangles two adorable kids and one crazy dog with her husband, Joe. Visit www.brandidougherty.com. Renée Kurilla has illustrated many books for kids, including Orangutanka, by Margarita Engle and The Pickwicks' Picnic, by Carol Brendler. She lives in the woods just south of Boston; the perfect place to search for wild fairies!